Edinburgh Airport Short Stay Car Park. AIRPORT chiefs are looking into implement standards for car park firms in an effort to clampdown on any rogue operators. Bosses at Edinburgh Airport say plans to recognise companies which meet a set of guidelines by listing them on their website is “best practice”. Motoring consumer campaigners welcomed any protection for car owners, but warned against creating any monopoly which would further increase charges. In June, an off-site car parking firm dumped hundreds of sets of car keys at Bournemouth Airport after going bust. That followed the UK’s largest off-airport car park operator, Purple Parking, going into administration the previous year. Mr Bosdet said: “There’ve been some nightmare stories of airport parking companies going bust and holidaymakers returning to find nobody there and not knowing where their keys or car is. “It’s good to have some kind of overview of the standards required when protecting people’s vehicles when they’re on holiday. Consultation on a so-called “Approved Operator Scheme” for car park operators at Edinburgh Airport has now opened. 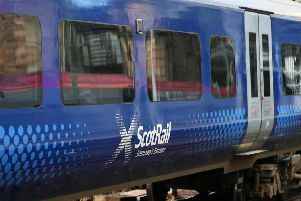 Bosses say the scheme is designed to ensure a minimum standard of customer service and “enhance passenger experience” while enabling them to make informed choices. The airport has looked at similar schemes at Gatwick and Manchester airports, with the former highlighted as good practice by regulator, the Civil Aviation Authority. Benefits to operators for being in the scheme include reduced fees for accessing airport facilities and recognition on the airport website as an approved operator. Judy George, head of property and commercial transport, said: “Providing passengers with a positive experience is clearly key to our strategy at the airport and that means everything from ease of check-in to catering and car park operators. “By providing them with approved operators, it gives them confidence in who they are booking with and allows them to make an informed choice.